Today I’m welcoming Lisa Hendrickson-Jack back to the podcast! We’re digging into the research and breaking it ALL down in this episode! Drawing heavily from the current scientific literature, Lisa presents an evidence-based approach to fertility awareness and menstrual cycle optimization. She hosts the Fertility Friday Podcast, a weekly radio show devoted to helping women connect to their fifth vital sign by uncovering the connection between menstrual cycle health, fertility, and overall health. You may have been told that your eggs are old or that there is nothing to do to improve your chances. 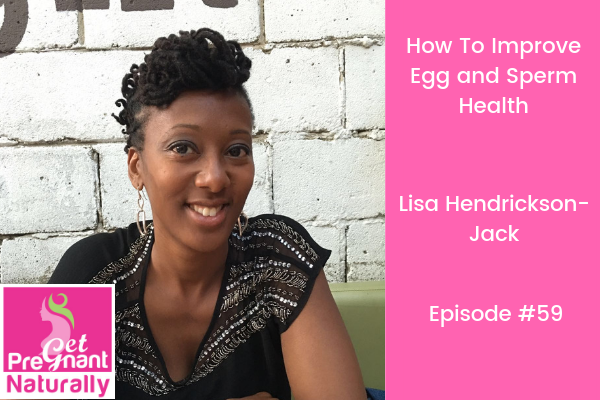 1) Strategies to improve Egg health for women over 40, plus WHY uterine health is so important. 3) Sperm Health 101 – the exact diet for men, danger of environmental exposure such as phytoestrogens (soy and more! ), xenoestrogens (plastics, herbicide/pesticides and WAY more) and what it all means for sperm health! 4) Supplement recommendations for both men and women to improve egg and sperm heath.